KABUL -- One of the suspects behind an attack on a large ceremony attended by leading government figures in Kabul Thursday (March 7) has been arrested, the Interior Ministry said, while the rest of the members of the terrorist outfit were killed by security forces during an operation. Deputy Interior Minister Gen. Khosal Sadat offered details and posted pictures of the operation against the attackers on Twitter. The attack killed three people and injured 22 others, officials said. Deputy Interior Minister Gen. Khoshal Sadat posted this picture of the operation against the attackers on Twitter. Blasts and gunfire took place during a ceremony marking the 24th anniversary of the death of Shia Hazara leader Abdul Ali Mazari. It was attended by many of the country's political elite, including Afghan Chief Executive Abdullah Abdullah and former president Hamid Karzai. The Taliban killed Mazari on March 12, 1995, in Kabul. "Islamic State of Iraq and Syria" (ISIS) claimed responsibility, according to a statement published by the group's Amaq propaganda agency. "Twenty-two wounded -- three children and one woman -- and three dead have been taken to hospitals," tweeted Wahidullah Mayar, spokesman for the health ministry. Presidential candidate Abdul Latif Pedram was among the injured, according to his official Facebook page, which said he was in "stable condition". Foreign Minister Salahuddin Rabbani -- who was also at the scene -- later added that "terrorists launched rocket attacks on the commemoration ceremony", and said he had escaped safely. Mortar fire is commonly referred to as "rockets" by Afghan officials. ISIS has claimed responsibility for a string of bloody attacks on Shia gatherings and mosques across the country over the years. The group, however, has been relatively quiet in recent months as the Taliban, Afghan security forces and the United States target ISIS's shrinking stronghold in eastern Afghanistan near the Pakistani border. 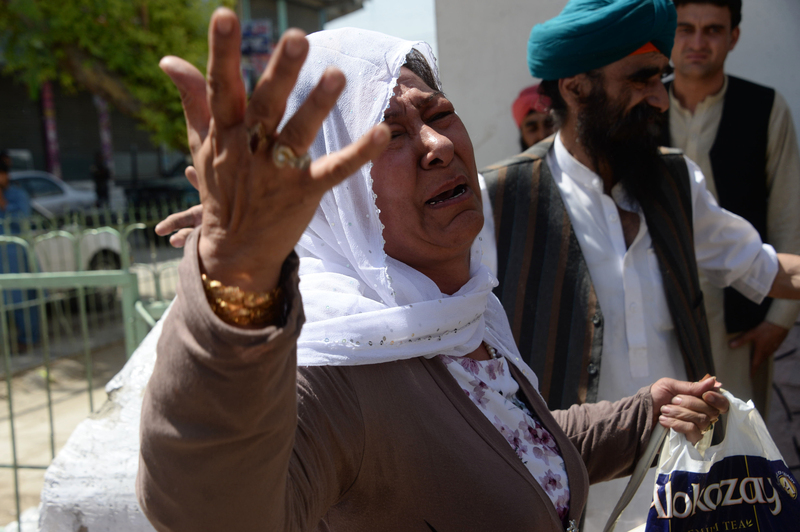 "This was the most horrid and unforgivable attack on civilians by a merciless enemy," tweeted presidential candidate and former national security adviser Muhammad Hanif Atmar. Eight of his security guards were injured, he added. The incident comes as the United States and the Taliban hold peace talks in Qatar aimed at ending the nearly 18-year-old conflict. The last major attack in Kabul occurred in January when the Taliban claimed responsibility for a car bomb that struck the heavily fortified Green Village foreign compound. 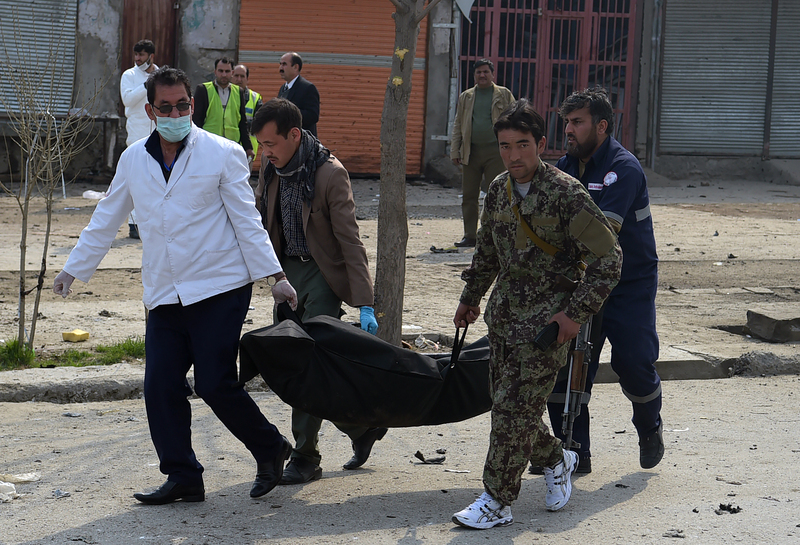 An ISIS suicide bomber killed 19 people and wounded 21 others in Jalalabad over the weekend. 2 policemen were among the dead and 18 people were wounded, officials said.